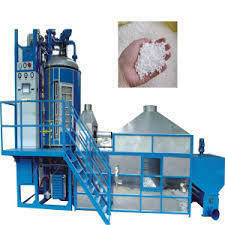 We, I Con Trading Corporation, are one of the leading manufacturers, suppliers and exporters of high quality EPS (Expandable Polystyrene) Machineries and Complete setup of EPS/Thermocol Product, EPS Disposable Glass Making machine, Thermocol Disposable Plate/dona/Tray/Dishes/Bowl/Food Container making machine, EPS Packaging Box Making Machine, EPS Block/Sheet making machine, EPS recycling machine, EPS filling gun, EPS Melting Machine,Thermocol Bloack Making Machine, Themocol Sheet Making machines etc. We also work in Trunkey basis for new Themocol plant implementation & installation. We have also enough experience in maintenance of the thermocol making plant. 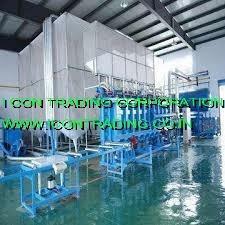 Note:- We also work on AMC basis for Themocol processing units. 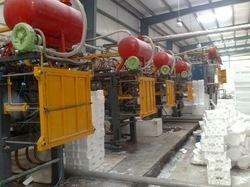 We are well acclaimed for supplying and distributing Thermocol Manual Block Molding Machines. Our offered machines have vast use in producing optimally durable thermocol blocks with fine precision and utmost dimensional accuracy. Owing to their procurement from renowned vendors, these machines are available with us in different configurations for serving precise needs of customers. 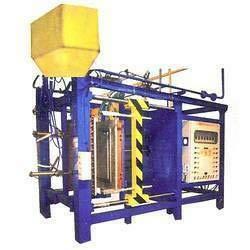 We provide a wide range of Semi-Automatic/Automatic Hydraulic Shape Moulding Machines. The entire range is precision engineered using finest grade mild stainless steel to ascertain its strong build and anti-corrosive nature. This range comes in various sizes as demanded by the client. It also features a chrome plated guide bar, hopper for material stock, air, water, & steam pipe with valves. This machine delivers optimum functionality standards. We have full commitment in supplying and trading superb quality Thermocol Pre Expander Machine. 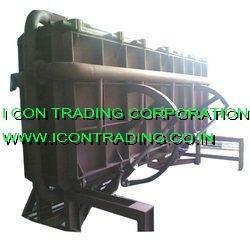 These machines are preferably used in manufacturing process of expanding of thermocols with maximum precision. Due to their procurement being done from best known vendor, these machines are designed by diligent professionals using high end tools and techniques. Apart from this, our offered machines are delivered to customers in tamper proof packaging at nominal price tags. 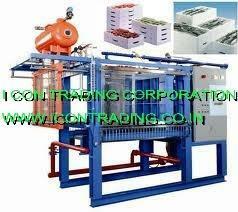 We have gained huge recognizance by supplying superlative range of Thermocol Preforming Machines. 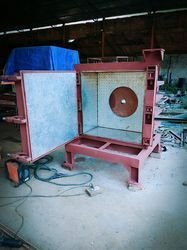 Intensely used for carrying our preforming process in fabrication of thermocols, these machines are user friendly and have rust proof finishing. Due to their procurement being done from reputable vendors, these machines are precisely designed and highly resilient. In addition to this, we provide these machines to our customers in tamper proof packaging at market leading rates. Owing to our extensive adeptness in this domain, we are involved in supplying high quality Thermocol Shape Molding Machine. Our offered machines are well known in the market for their sturdiness, ergonomic designs and user friendly aspects, hence have intensified use in molding shapes of thermocol. We quality test these machines under strict norms for ensuring their long life efficiency. Looking for EPS Thermocol Making Machine ?